Celebrating its eleventh signature lights out event in 2017, the movement’s enduring appeal stands testament to our collective ambition to #ChangeClimateChange. 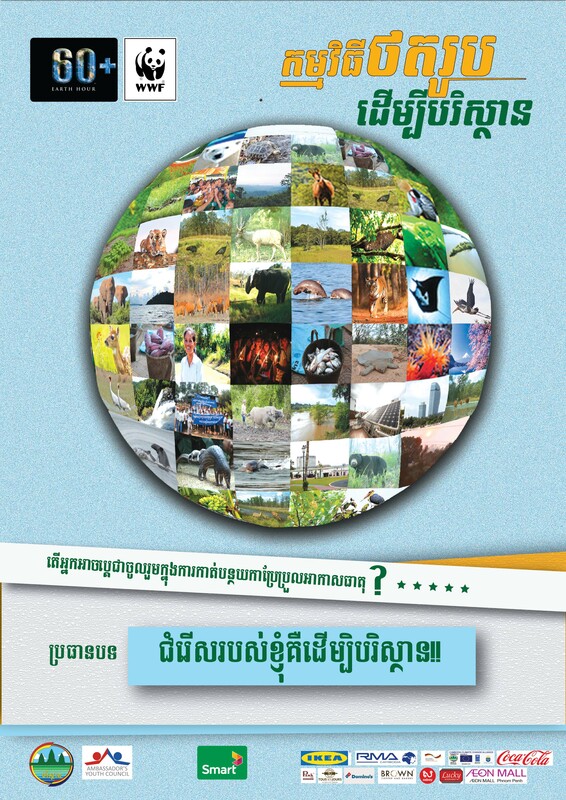 WWF-Cambodia aims to make it bigger and more impactful! You can use any mobile or digital camera. Take a photograph that is related to any environmental issue and what you are doing to change it. For example: Using eco-bags instead of plastic bags. Get going, get creative and tell us YOUR solution to unsustainable consumption. The contest is open until the 24th of March at 4:00 pm. To enter the contest, visit our facebook page and send your photo to our inbox.